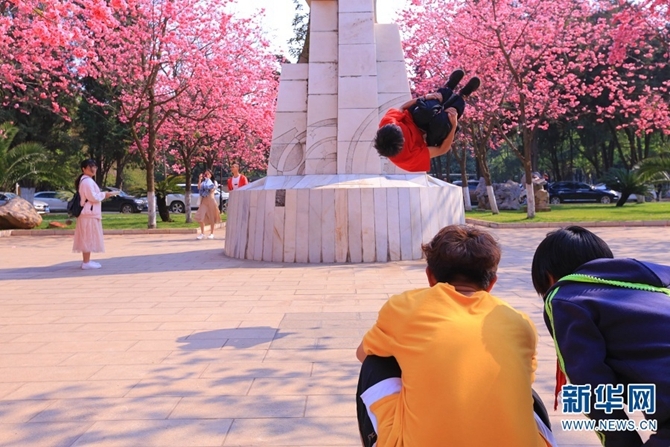 "I like flying in the air," said Zhang Cheng, a free runner based in Kunming, Yunnan Province. 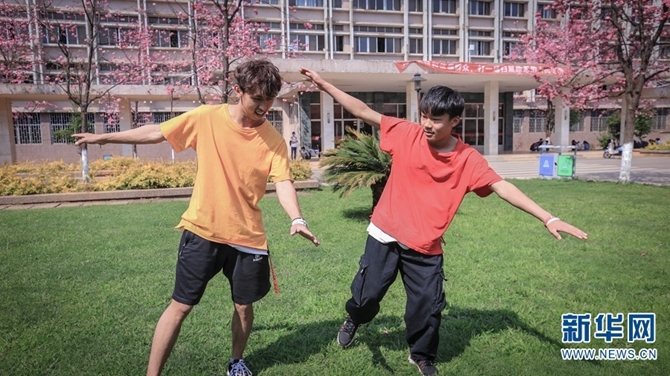 Born in 1996, Zhang has been working on parkour for five years, and now he is also a taekwondo coach. Parkour, also called free running, is an extreme sport of running through urban areas while performing various gymnastic manoeuvres over or on man-made obstacles such as walls and buildings. 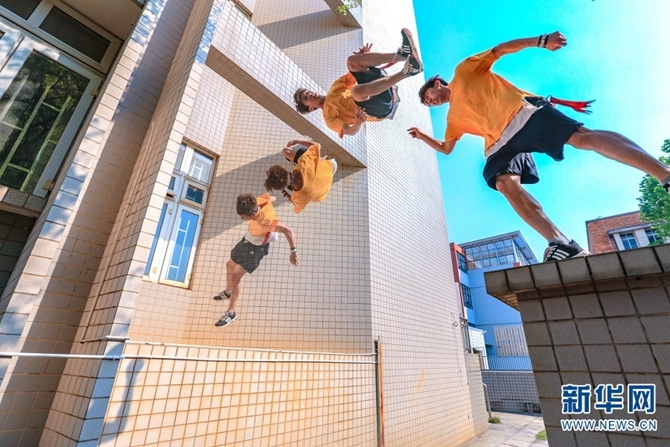 Thanks to its benefits in fitness, parkour is now gaining popularity in China. "I’ve liked somersaulting since I was a child. It looks so cool!" Zhang Cheng got to know about parkour via online videos. Later, Zhang found a sandpit and practiced there for a month or two. After countless tumbles, he finally succeeded in somersaulting. 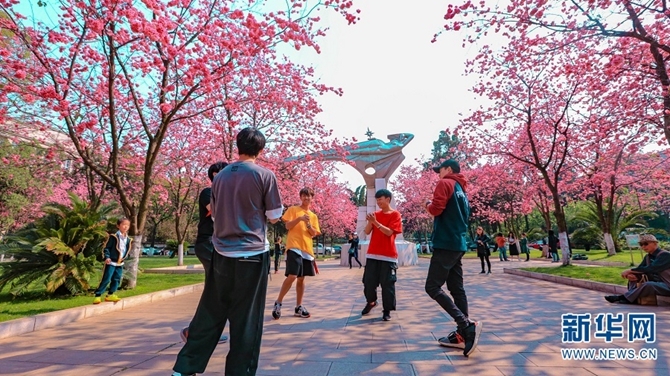 In the past few years, Zhang has visited Chongqing, Guiyang and Beijing, trying to learn from famed local free runners. To pursue his dream, he didn’t have a daily routine or stable income. 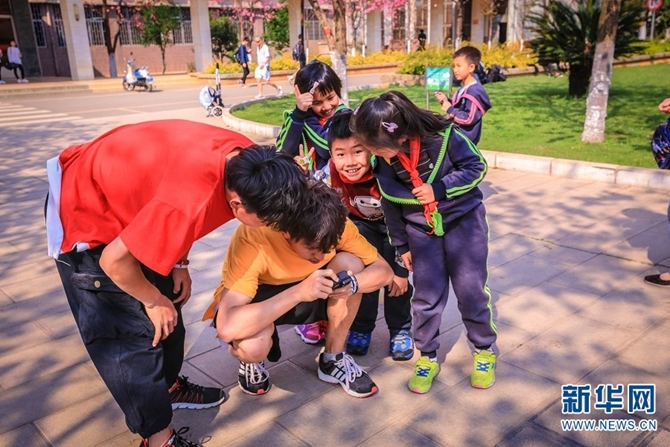 Now Zhang Cheng has a routine and a fixed venue for free running in Kunming. With his parkour skills improving, he got to know some like-minded partners, and he also became taekwondo coach because of his skills. 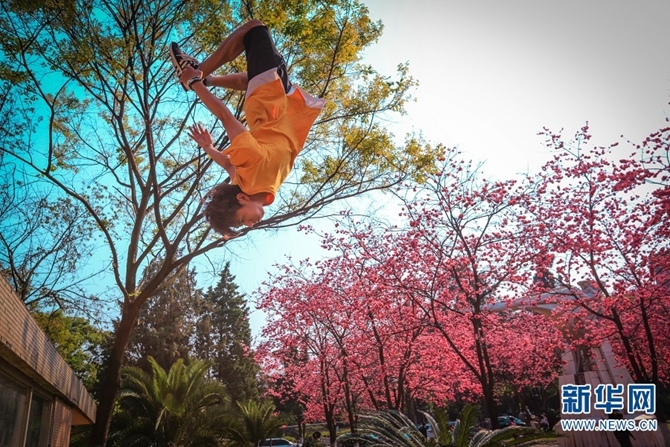 On December 31, 2018, Zhang Cheng won his first championship in a skill competition held by Asian Parkour Sports Association in Chongqing, southwest China. "I just wanted to challenge myself, not thinking of failure or injury." When it came to the competition, Zhang suggested that some participants might have been superior to him in parkour skills. And it was just that the venue suited him best. 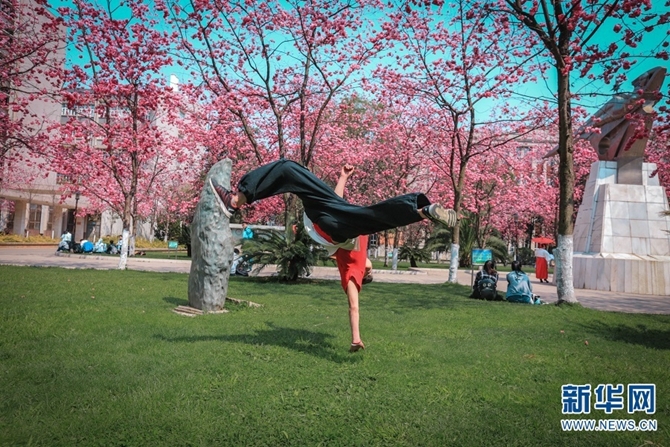 Zhang believes that in the years to come, parkour will be more visible if there is joint effort by more free runners and sports authorities. 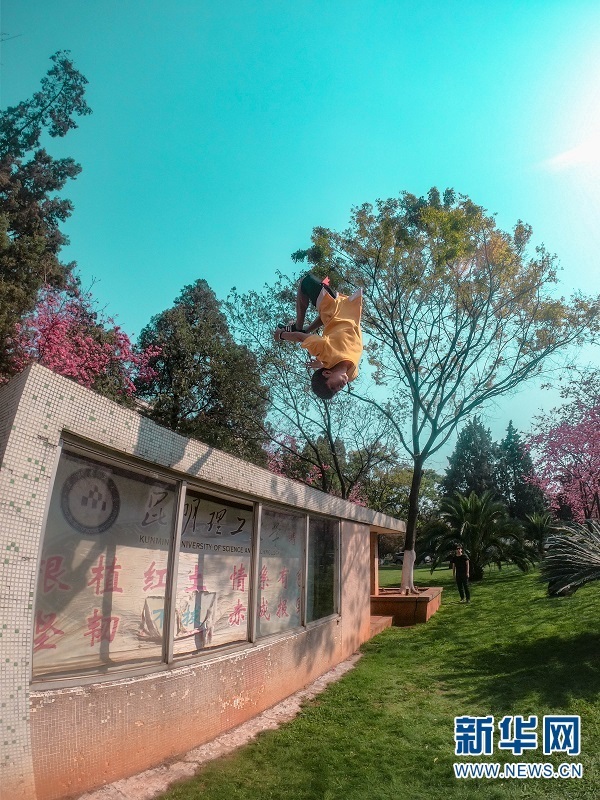 "Courage comes from hard work, and now I still keep on going beyond myself with the youthful spirits," said Zhang, who never deviates from parkour.Parkour is his lifestyle.